During the period examined, the incidence of pancreatic cancer, for example, increased by about 1 per cent per year for adults aged 45 to 49. Among 30 to 34-year-olds, the average annual increase was more than twice that. Among 25 to 29-year-olds, the rate jumped by 4.4 per cent per year. Indeed, the researchers note that the number of new cancer cases reported remains much higher in older age brackets, even if the rate of increase is now fastest among young adults. Two pancreatic cancer cases, for example, were diagnosed among every 100,000 24 to 49-year-olds from 2010 to 2014, compared with 37 cases for every 100,000 people aged 50 to 84. From 1980 to 2014, mortality dropped by 20 per cent, from 240 to 192 deaths per 100,000 people, due in part to reduced tobacco use. From 1980 to 2014 - when cancer claimed some 20 million lives - mortality dropped by 20 per cent, from 240 to 192 deaths per 100,000 people, due in part to reduced tobacco use. "But in the future, obesity could reverse that progress," co-author Jemal cautioned. "This study should be a wake-up call to all Americans, young and old alike," the American Society of Clinical Oncology said in a statement. 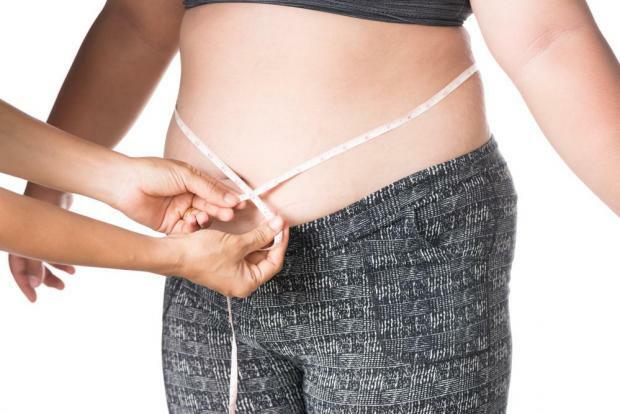 "Obesity is set to overtake tobacco as the leading cause of preventable cancer-related death, and there is an alarming lack of awareness among the American public of the link between obesity and cancer."